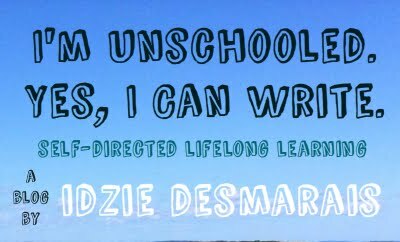 I'm Unschooled. Yes, I Can Write. : My 18th Birthday, and St. Pat's day! Yesterday was my 18th Birthday. In some ways, it seems rather surreal that I've been around this earth for 18 years. In other ways, it seems like no big deal. Nothing much has changed. I'm the same person I was two days ago, despite the change in age! Yet since my 17th Birthday, so so much has changed. It's been years since I was actually happy on my Birthday... Throughout most of my teen years, my Birthday stood as a reminder of all the things I hadn't done. One more year where my life wasn't where I wanted it to be. But as I'm sure I mentioned before, this past year, especially the past 8 months, has held so much change, and lead to such a different perspective on life, on who I am, and on what I want. I'm no longer pining over what has yet to happen. Sure, there are still plenty of things I want to do, but I will do them. And for now, I'm happy at where I am in life, and content that I'll figure out where I'm going. So this Birthday, I went outside, breathed in the beautiful Spring air, played music, and laughed. Life is good. I've never been much of a St. Patrick's Day celebrator, although I certainly have Irish ancestry, and love Celtic culture and music. So although I'm not doing much to actually celebrate today, I wish you a Happy, joy filled St Patrick's Day, and leave you with this song, 'The Night That Patty Murphy Died' by Great Big Sea. Many happy returns of the day. Yay...now you are legally responsible for yourself! I have to love any blog that posts music by Great Big Sea. And one of my favorite songs, too.